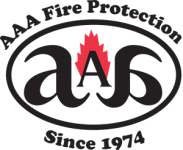 At AAA Fire Protection Services we understand the important role that fire sprinklers play in helping to reduce the damages that fires cause. As a 40 plus year veteran of the fire protection industry, we serve South San Francisco and businesses throughout the entire San Francisco Bay Area with quality fire protection services that include fire sprinkler installation. Our comprehensive program goes beyond fire sprinkler installation. In fact, it begins with design. We work with your architect and design team to develop the most efficient and affordable sprinkler system for your business. Our fire sprinkler service includes detailed fire sprinklers inspections. If deficiencies are found, we do fire sprinkler repairs so your system is always ready to defend your business. In addition, we help you maintain compliance by supplying data and documentation about your fire protection status. We work with state, local and governmental agencies every day and understand the needs of each industry around the San Francisco Bay Area. If you would like more information about working with us, just give us a call at (800) 543-5556 and our professionals will be happy to answer your questions.